The November election is 80 days away and the campaign is heating up. A few months ago, candidate Shannon Whitfield was considered a shoe-in to replace Bebe Heiskell, but now he’s losing support and voter confidence due to piles of unanswered questions, like the one below, on social media and elsewhere. For a candidate running on transparency, Shannon’s not very transparent or forthcoming. 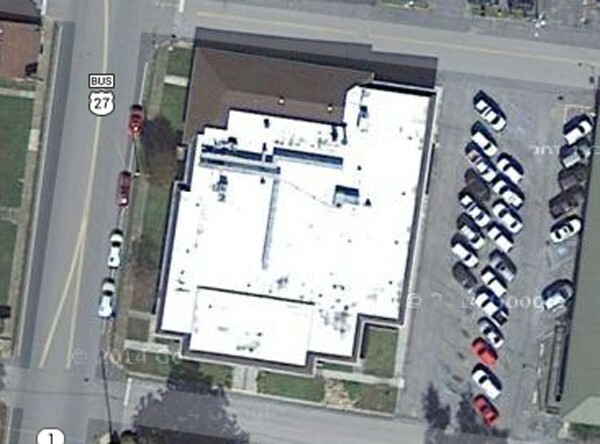 A year or so ago, Commissioner Heiskell justified the million-dollar purchase of the old Covenant Bank building in Rock Spring by saying the tax office in LaFayette, former Kitchens Clinic, was in too bad a shape to occupy and wasn’t repairable. Now that she’s moved the tax office into that remodeled bank, she’s going to… repair the old clinic and move county workers in there because of ANOTHER county facility she hasn’t maintained. 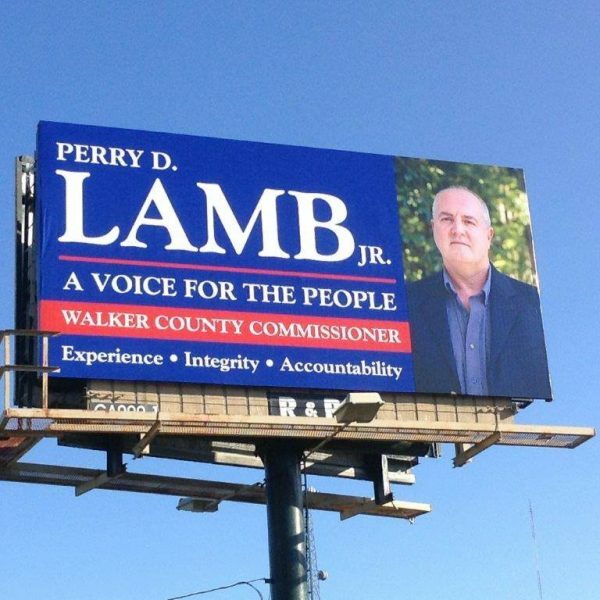 WQCH Radio, 08/16/16: “WALKER COUNTY MAY HAVE TO ‘TAKE BACK’ IT’S OFFER OF DONATING THE FORMER TAX OFFICE BUILDING TO THE CITY OF LAFAYETTE. COMMISSIONER BEBE HEISKELL SAID FRIDAY, THAT THE COUNTY MAY NEED TO USE THE BUILDING FOR AN OFFICE SWAP. “SHE SAID EXTENSIVE STRUCTURAL TERMITE DAMAGE HAS BEEN FOUND IN COURTHOUSE ANNEX-2, WHICH HOUSES THE EXTENSION SERVICE AND MAGISTRATE COURT – AND THAT THE JUVENILE COURT HAS OUTGROWN IT’S QUARTERS IN THE MAIN COURTHOUSE. “ONE SOLUTION BEING CONSIDERED IS TO GUT AND REBUILD THE INTERIOR OF THE FORMER CLINIC BUILDING ON SOUTH MAIN, WHICH USED TO HOUSE THE TAX OFFICE. IT WAS CLOSED DUE TO A HEALTH THREAT FROM RECURRING MOLD INSIDE, AND EMPLOYEES WERE MOVED TO THE FORMER STEARN’S BANK BUILDING AT ROCK SPRING. Seems the mold wasn’t too bad to clean up afterall. 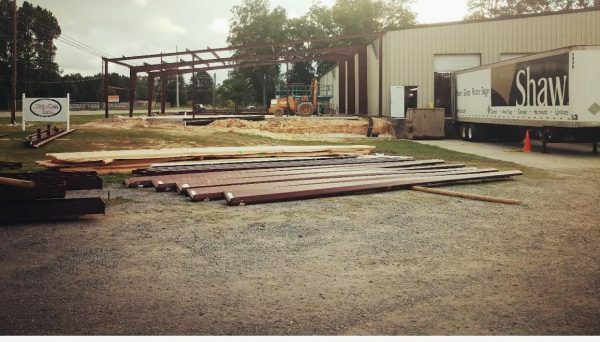 It’s suggested this is Heiskell’s public response to Shannon Whitfield’s private commitments to county employees that he’ll build new offices for them if they support his campaign. Neither Whitfield nor Heiskell has said what money they’ll do any of this with, since the county’s got eighty something million in debt to pay off and a few thousand miles of bad roads and bridges to repair before anything else should be done. Walker County Animal Shelter is going under quarantine for the next two weeks because of a parvo outbreak. That means no animals in or out of the facility for most of August. The same thing happened in 2012 and 2013. The shelter shut down for weeks due to what later turned out to be parvo. Property assessments are in, now city and county leaders have to decide if they’ll change tax rates. Rossville is first up, announcing a tax increase for its residents. Soon we’ll hear what Bebe and the LaFayette council plan to do with their respective milage rates. If the county’s income from property tax goes up at all because of higher appraisals, even without a tax increase, state law requires Commissioner Heiskell to lower the tax rate OR have meetings to raise taxes – even if she holds rates the same or drops them less than what they’d be to make the same as last year. Bebe can go in and actually LOWER the tax rate a tick, and then tell you she cut your taxes – even though you’ll pay more because your house is “worth” more on paper. She’s done it before, just wait. Two more arrests, closer to home, in the Rossville drug ring investigation. WQCH Radio, 08/16/16: “ANOTHER SUSPECT HAS BEEN ARRESTED BY THE DRUG TASK FORCE IN CONNECTION WITH LAST WEEK’S ‘OPERATION PHARMACY TECH’ PRESCRIPTION PILL RING. MOST OF THE ARRESTS HAPPENED IN ROSSVILLE LAST WEEK, BUT THE LATEST SUSPECT, 22 YEAR OLD DANIEL OLIVER COOK, IS FROM ROUND POND ROAD NEAR LAFAYETTE. HE WAS CHARGED WITH TRAFFICKING. WQCH Radio, 08/17/16: “ANOTHER SUSPECT HAS TURNED HIMSELF IN, IN CONNECTION WITH LAST WEEK’S ‘OPERATION PHARMACY TECH’ PRESCRIPTION PILL RING. 34 YEAR OLD THOMAS JAMES MOTLEY OF A TRION ADDRESS, GAVE IT UP AT THE WALKER COUNTY JAIL. HE WAS CHARGED WITH TRAFFICKING AND A PROBATION VIOLATION. That takes the total arrested, so far, to eight. If local authorities continue to dig at the roots of this thing, more arrests will likely follow. 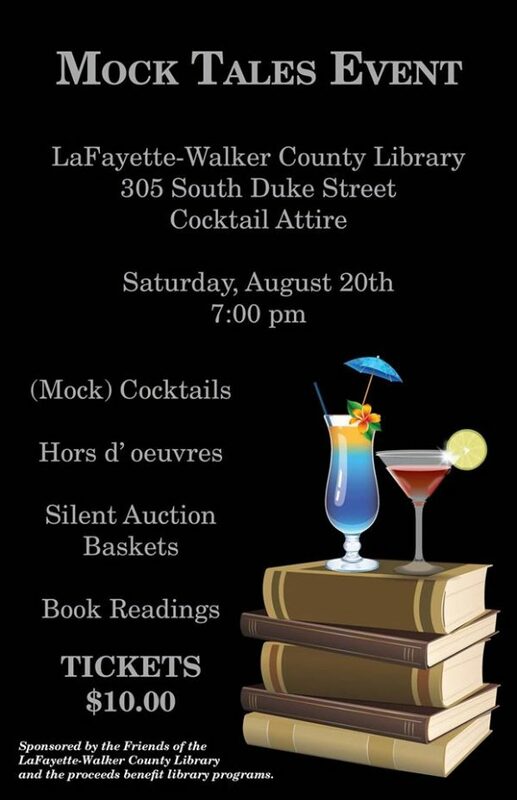 Library fundraiser tomorrow night at 7, featuring a performance from Back Alley Productions, silent auction, and fake alcohol. 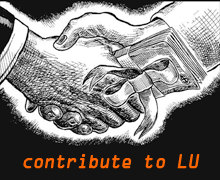 Go support your local library – it supports your community. 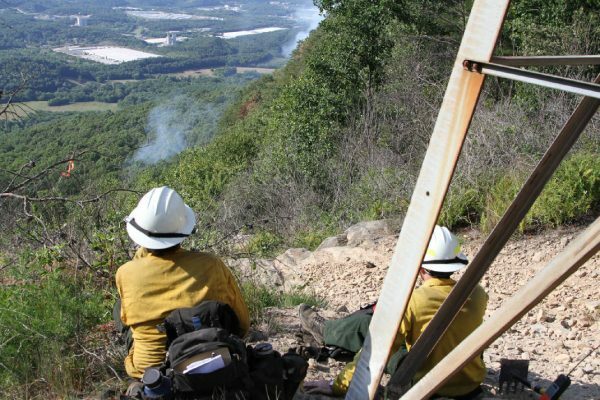 Four men, three Tennesseeans and a guy from Indiana, have each paid $210 fines associated with the July fire atop Lookout Mountain. They admitted responsibility in the blaze, which was started by an illegal campfire they thought was taken care of. The National Park Service, which controls much of the acreage involved, may still sue them to recover some of the cost of battling the fire, which burned for over a week. Walker County arrests, August 4-10 & August 8-14. Some NWGA food stamp recipients will soon fall under stricter rules for getting benefits. 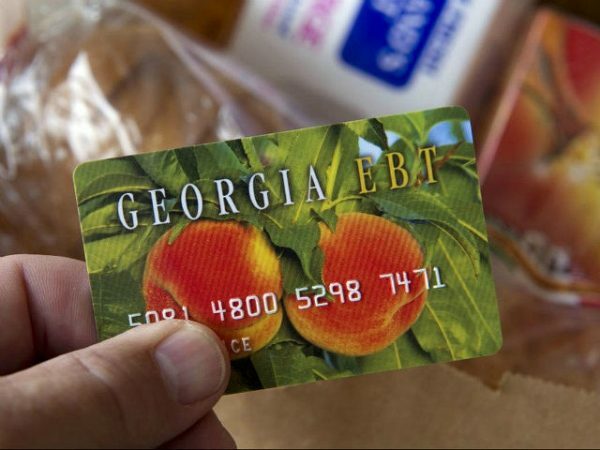 A controversial pilot program requiring able-bodied (non elderly) adults without kids to work or volunteer in order to qualify for EBT is expanding, from three counties in Atlanta to 24 around the state, including Walker, Catoosa, Dade, and Gordon. Expansion is based on areas with “favorable” low unemployment figures, which in theory make it easier for people to find work – although those numbers don’t seem to be based on reality. There may not BE a job in Walker, but you can sure as heck find somewhere to volunteer in Walker or Catoosa or even Chattanooga, if that’s what suits you. Georgia Power customers will soon lose local payment options when GP closes 100 offices, including those in Summerville, Chickamauga, and Trenton. After October 20, customers will be directed to payment terminals in selected Ingles, Regions Bank, Walmart, and Shop-Rite stores. The energy giant, which spent $12 billion a year ago to buy Georgia’s biggest natural gas company, says these closures will save money by cutting 270 employees. 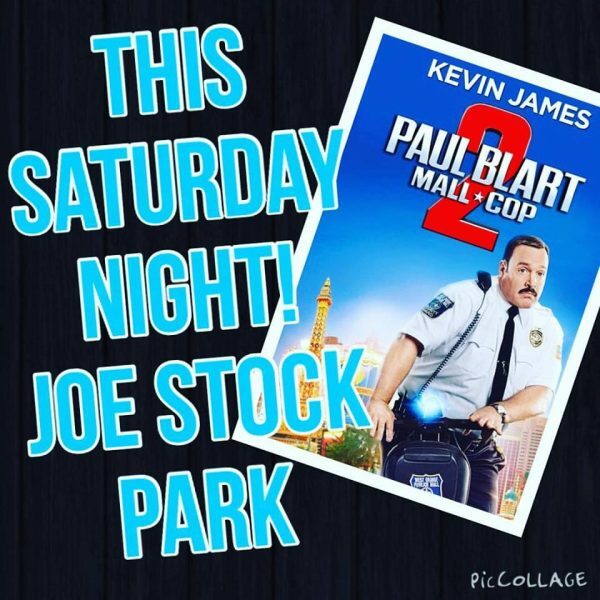 Joe Stock Park will host Movies in the Park again this weekend. “Paul Blart: Mall Cop 2” will play at dark on Saturday. Try-Con in Lyerly, a Shaw Industries contractor, is expanding and expects to double its workforce to about 100 people. Adidas is building a sneaker factory in Cherokee County, GA.
“Speedfactory” represents a rare US investment for a shoe company, and will be among the most automated footwear facilities in the world – but that automation means it will only need 160 employees to turn out 50,000 pairs of shoes a year. Earlier this year year Allstate announced plans to raise Georgia insurance rates by about 25%. Insurance Commissioner Ralph Hudgens said at the time his office would investigate the raise and possibly try to block it, but now admits he has no authority to do so – thanks to a weakening of the law HE approved while he was a state legislator in 2008. Some Allstate customers are seeing rate increases up to 50%, but Hudgens says he did get the insurer to “verbally agree” not to raise its premiums again – until next year. Two of those – Cloudland Canyon and Ellison’s Cave, are both within a few minutes drive of LaFayette. As an LU Facebook reader pointed out, taking an impromptu trip to Cloudland Canyon will result in a nice walk you might enjoy. But an impromptu, unprepared trip to Ellison’s Cave might well result in you being dead – or at least mentioned on LU after an all-night rescue. In regards to the Parvo outbreak at the Walker Co. Pound. It the proprietor kept the place scrubbed down, clean and sanitized like it should be everyday, maybe there wouldn’t be as many outbreaks! Anyone ever been in the back? Is this a common problem in animal shelters? Seems like it’s only going on here, at least this frequently.